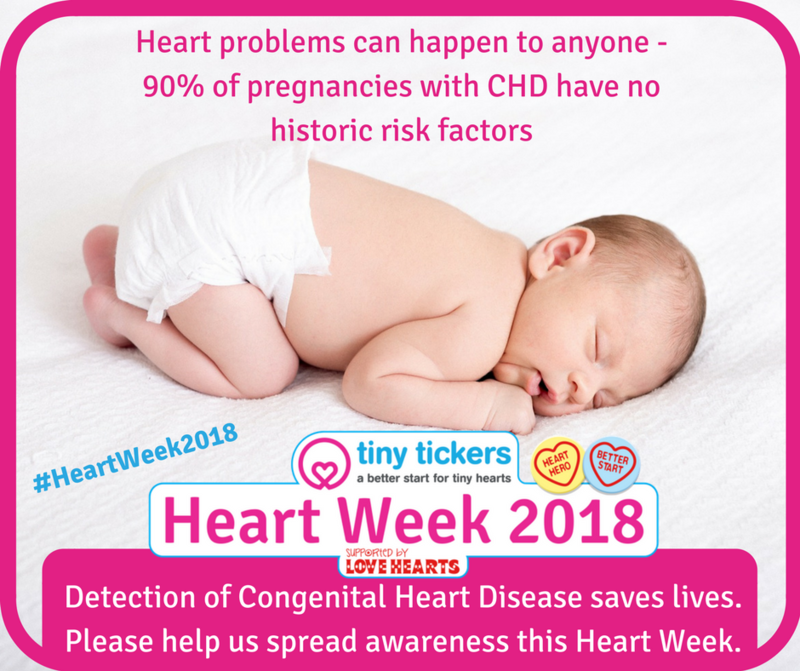 One in every 111 babies is born with congenital heart disease (CHD) – that’s more than 5,000 newborns each year in the UK. 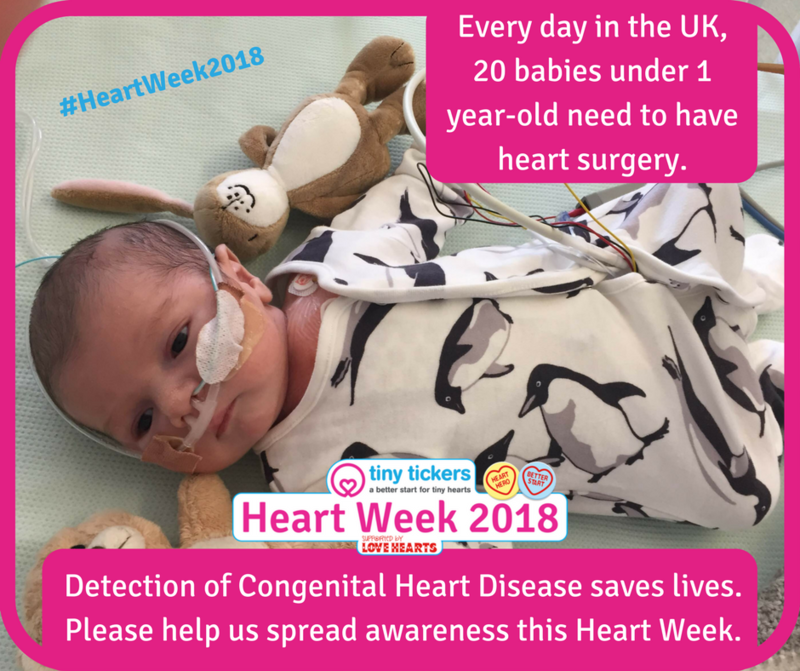 Through Tiny Tickers’ Heart Week, each of us can raise awareness and funds to help these babies – ensuring they are given a fighting chance to beat their condition. Finding these babies is vital. Last year, over 1,000 newborns were discharged from UK hospitals with no one realising they had a life-threatening heart condition. Tiny Tickers is launching a national initiative to provide all maternity wards with Pulse Oximetry Machines. These machines test the oxygen levels in babies before they are sent home. Low oxygen saturation could indicate a serious heart condition and baby will get the treatment they need immediately. 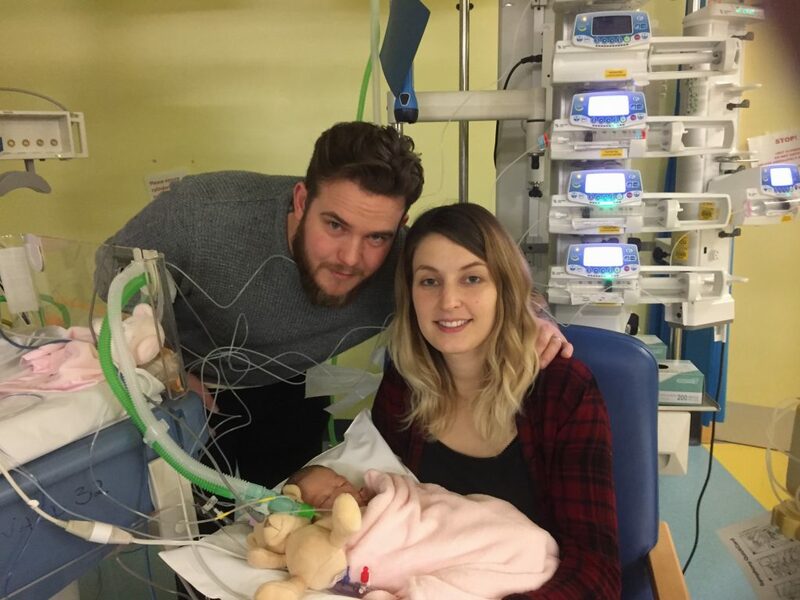 Damian’s daughter, Elsie, had a serious heart defect which wasn’t detected until she was already very ill. Damian says, “We are forever in debt to all the people who helped save her life. We were one of the lucky ones. To read Elsie’s story, click here. Heart conditions are the most common and deadly birth defect in babies – responsible for 1 in every 13 infant deaths. Tiny Tickers is a small charity but their work is hugely practical and effective – just £750 is enough to provide training for up to 10 sonographers or a Pulse Oximetry machine for a maternity ward. 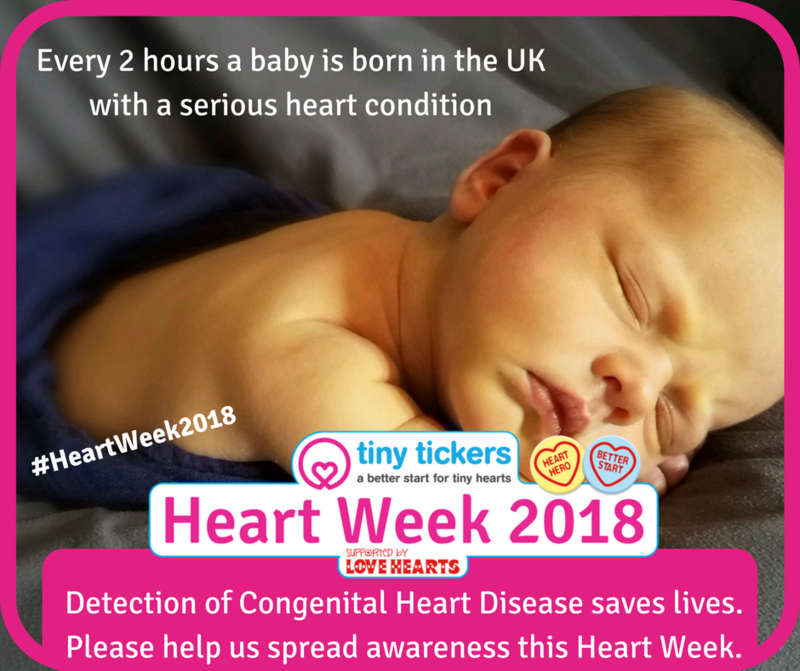 If they can raise £10,000 though Heart Week 2017, they’ll be able to help many more babies and their parents this year. £75 – Provides specialist on-site training for a sonographer to be able to detect heart problems during a pregnancy scan. £750 – provides a pulse oximetry machine for a maternity ward, where each baby can have their oxygen levels tested before being sent home. £2,500 – Produces a training video into one of the most common forms of heart defect for sonographers to refer to during scans. Helping to build up your children’s self-esteem is one of the greatest gifts you can give them. Adults and children with high self-esteem are happier, more confident, more self-accepting, more productive and feel more useful than those for whom self-esteem is lacking. As parents, all we want is for our children to grow into confident, happy and secure adults. We can help our children achieve this by taking daily steps to build their self-esteem. Giving children choices – be it between an apple and an orange or which pair of shoes to wear – helps them to feel as though they have a control over what happens to them. This empowerment builds their confidence and helps them learn how to make decisions by themselves. When your child does something praise-worthy, instead of offering a vague ‘that’s great’, try to be more specific with your compliments. ‘I love the way you’ve drawn that rainbow’ or ‘that’s fantastic because I can see how hard you’ve worked’ are more positive ways of letting your child know how proud you are. Children love receiving praise, but telling them why you’re proud as well as praising their effort will make them feel extra good about themselves. 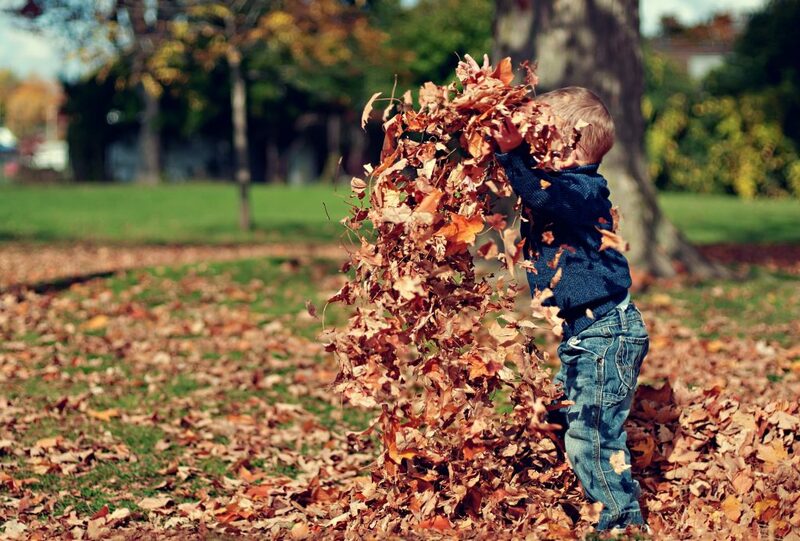 Chores, gardening or looking after a pet are examples of ways we can give our children responsibility, which in turn helps bolster their confidence and problem-solving skills. They will also learn that it’s fine to make mistakes and they needn’t be afraid of making them. Toddlers can take a frustratingly long time to get dressed or put their shoes on and sometimes, when you’re in a rush, you do need to step in and help. However, when you have the time, letting your child do these things by themselves will make them feel a sense of achievement and confidence. When allowed to work things out for themselves, they’ll be keener to take on new challenges as they grow. When your child is trying something new, you can actually build their self-esteem by letting them make mistakes before you rush in to help. Learning that we all make mistakes and suffer setbacks will help your child develop a more positive relationship with failure. Effort and perseverance should be highlighted and praised in order to raise children who don’t give up at the first hurdle because they are scared of failure. Let your child see that no-one is perfect – including you – and that aiming for perfection is pointless. When you make a mistake, tell your child about it and let them know it’s ok. Try not to put yourself down by saying ‘I’m a rubbish cook’ or ‘I’m so fat’. Your child may absorb the way you talk to yourself and apply it to their own self-talk. Showing yourself respect and love is the best way you can help your child nuture their own self-esteem. We all know the standard advice for cutting down the amount we spend on our weekly food shop – do one food shop per week, make a list, meal plan, don’t shop when you’re hungry, shop at discount supermarkets etc. While all this advice is perfectly valid, there are a few other tricks you can use to save money on your expensive food bill. If you think items are placed on the shelves at random, you’d be very wrong. 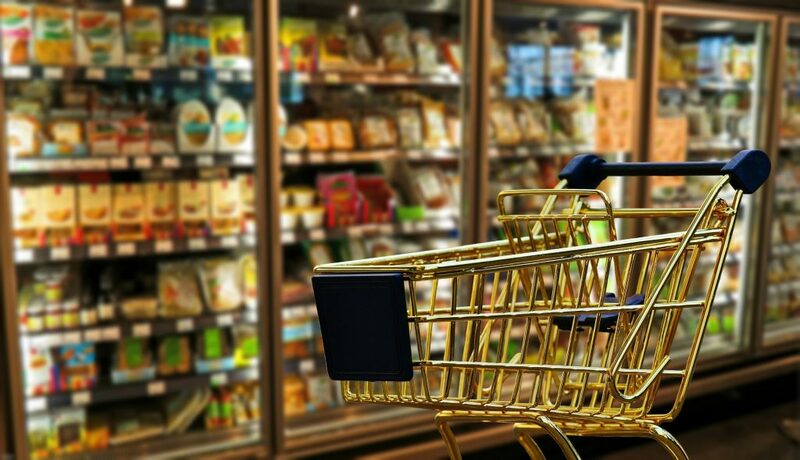 Supermarkets invest big money in research to determine exactly where they should place items to maximise their profits. They want you to spend more money, so they place the more expensive items at eye level. However, if you have a good look around the aisle, you’ll probably be able to find a different brand of the same product for a cheaper price at the very top or bottom of the shelf. Plan your meals to comprise fresh ingredients that are in season and you will save yourself a fortune at the tills. Locally sourced fruit and vegetables are not only cheaper, but by buying produce with less food miles, you’re helping the planet too. According to research, if you use a big trolley, you’re more likely to fill it. So, choose a smaller trolley or even a basket if you can – this will prevent you from adding unnecessary items because it will fill up quicker. You’ll have to fight against the tight space and really consider whether to add each item. The deli section is crammed full of tasty-looking meats, cheeses, pastries and dips. All are packaged beautifully and served directly to you by a member of staff – but you are paying a premium for this service. If you hunt around the store, you’ll often find the same items at a fraction of the cost. So, don’t be fooled by the swanky deli counter – often its food is of no better quality than other items you can find on the shelves. Meal planning and list writing are great ways to make sure you don’t overspend, but dedicating a bit more time to preparing for your weekly shop can save you even more. Research the deals available to loyalty card holders and try to plan your week’s meals around what’s on offer. Using coupons and other vouchers in the same way can also shave off £ from your bill. There are plenty of apps, such as My Supermarket, available to help you find the best deals and some, like Top Cashback, also offer discounts to their users. Some supermarkets even have their own apps to help their customers access the best deals. If you have a bit of dead time during the day, for example when commuting, use it to research the best deals on your food shopping. I always thought I would be the one to teach my daughter about life. I’m her mum; that’s my role. But as time rumbles on, I increasingly find that she is the one teaching me. Adults can spend years working on personal growth. We read self-books, stubbornly practise mindfulness, see therapists and embark on valiant expeditions to find ourselves. What if we always knew the truth we seek? It seems that at some point during our turbulent transition from child to adult we managed to unlearn the life lessons we came hard wired with. 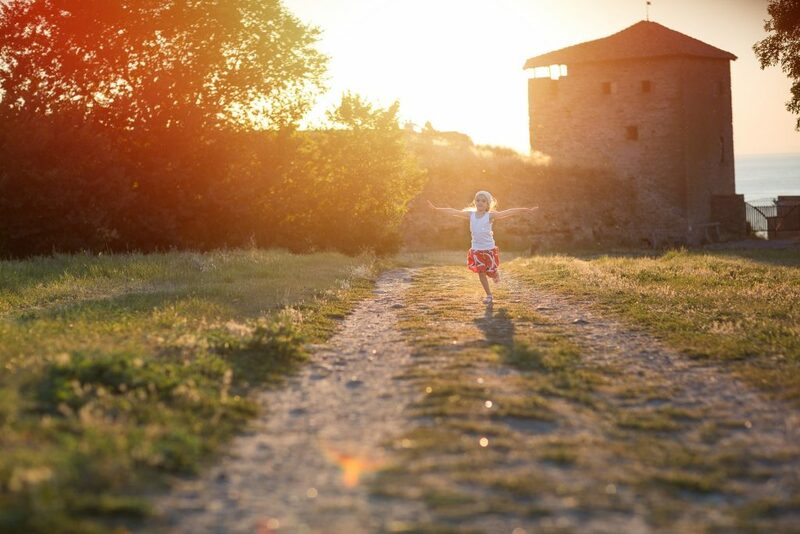 Children, unlike adults, tend to live in the moment. 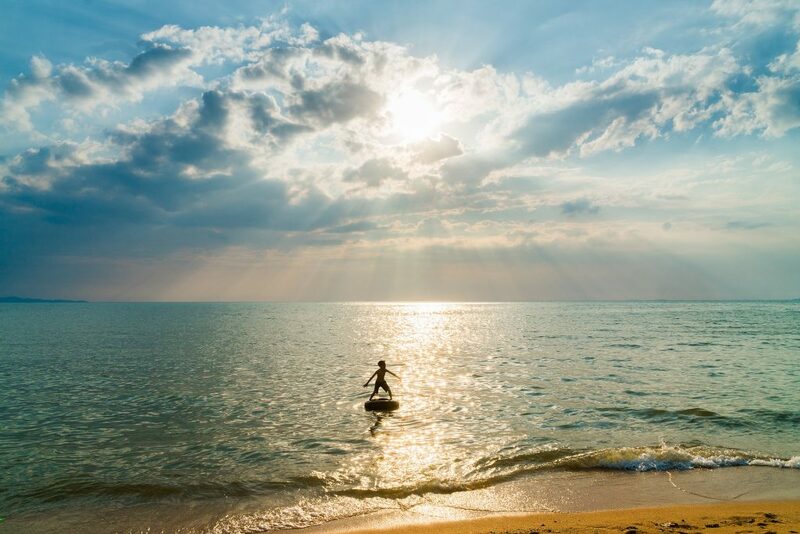 Adults often carry the baggage of the past or the worries of the future around so intently that we forsake the present. One day after school, my daughter told me she had seen a friend from the year above, who we had visited a theme park with the week before. ‘Did you talk about our trip to the theme park?’ I asked her. Her answer was so innocently perfect. ‘No’. Why would they discuss what happened a week ago? Their conversation clearly centred on the here and now. This short exchange spoke volumes to me. My daughter unwittingly reminded me that I need to remain present at all times. Some would call this mindfulness. My daughter would just see it as common sense. What always surprises me, however, is how quickly they become best of friends again. It’s as if nothing ever happened – one minute it’s tantrum city and the next they’re back to harmonious play. The argument passes over like a short summer storm and before you know it the sun is shining again. On the contrary, adults can hold grudges for years. Often, we don’t even talk about the reasons we feel wounded and hurt, preferring to hold it all inside. Important relationships can be damaged through lack of communication and the inability to forget. It strikes me that children deal with disputes far more effectively – have it out, apologise, accept the apology and move on. Most children enjoy creative play and activities. They fill their time with their favourite creative pursuits. From drawing to writing stories, building Lego houses or baking, as soon as my daughter finishes school she engages in some kind of creativity. As adults, we know how important it is for children to be creative and play make believe. This is how they learn important life skills. It’s a shame that we don’t place such importance on our own self-growth. At what age did we decide to stop making time to be creative? I realise adults, especially busy parents, don’t have nearly as much time as children to spend on hobbies and bucket-filling activities. But often we could make more of an effort to find time for our own creativity. In fact, it’s imperative to our well-being that we do so. My daughter wears her heart on her sleeve. I can see how she’s feeling inside by just looking at her face. If she’s upset she’ll cry, if she’s angry she’ll stamp her foot and if she thinks an injustice has occurred she won’t be shy in voicing her displeasure. As we grow older, we become expert at keeping our emotions hidden deep inside where they are destined to become toxic. Obviously we can’t jump up and down in a tantrum when we’re angry or cry at the drop of a hat but we can communicate our feelings with others more often. Or even the simple act of writing down our feelings can be a great release when anger or disappointments take over. Children rarely try to hide their feelings and this enables them to deal with their emotions quickly and more effectively (often with the help of an adult if needed). If only we could do the same. 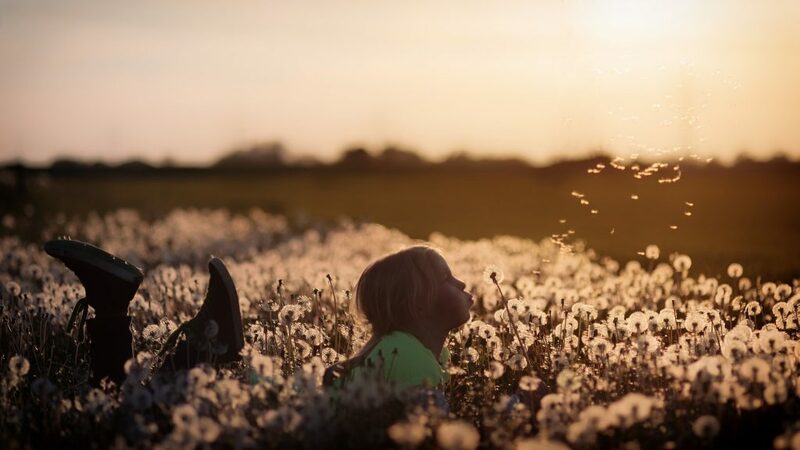 To children the world is a huge place full of wonder. My children go out and have amazing adventures in the garden while all I see is some grass, flowers and over-grown bushes. My daughter can spend hours marvelling over a smooth pebble from the beach or a funny shaped stick she picked up in the woods. It never ceases to amaze me how much pleasure she takes from objects I normally wouldn’t pay any attention to. 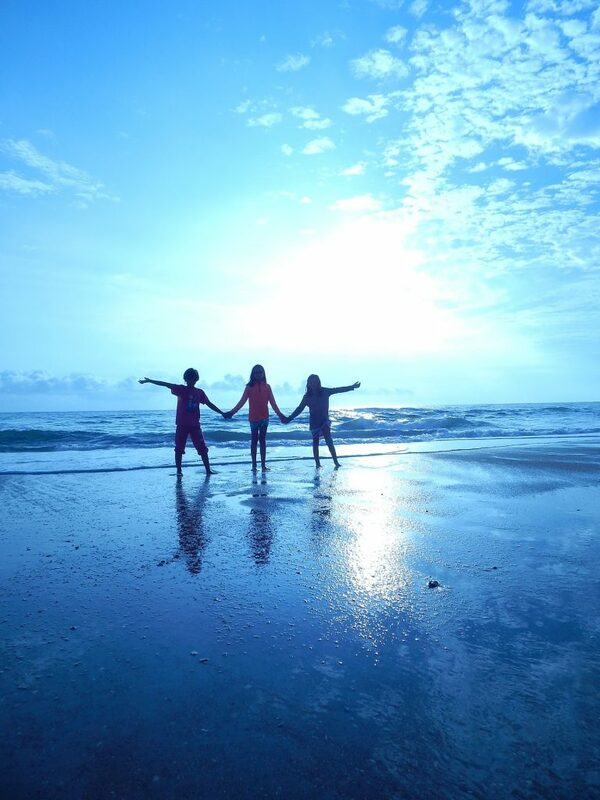 If we could see the world as we did when we were children, think how exciting each day would be? There would be magic, possibilities and fun around every corner. We see exactly the same world as our children and yet we choose to perceive it in a different way. Perhaps it’s time to strip back to basics and appreciate our surroundings, finding pleasure in even the smallest of things. During the course of the day children laugh a lot, often at seemingly ridiculous things. It doesn’t matter what they’re laughing at, children laugh because they enjoy the act of giggling and chucking. Simply put, it makes them feel good. And with good reason. Laughter is an amazing healing force and great way to bond with others. Even if you feel like you have nothing to laugh about, research has shown that forcing yourself to smile or laugh will make you feel happier. If adults laughed and smiled as much as kids do perhaps the world would be a better place. If my daughter needs help with something, she asks. She doesn’t try and soldier on in a martyr-like fashion, hoping someone will eventually notice her distress (as I have been known to do). Children don’t feel embarrassed about asking for help and they don’t worry about putting out the person whose assistance they seek. As adults, we tend to like being asked for help by family or friends because it makes us feel useful and trusted. But, bizarrely, we can feel awkward if we are the one making the request. It doesn’t make sense at all and children know that. In fact, many of our adult behaviours don’t make sense. Perhaps that’s part of the reason why children have so very many questions about life. It turns out my daughter may be the finest self-help book ever written.